The major highlights for K-14 public education include a proposal to provide $3 billion to reduce long-term CalSTRS liabilities for school employers. This is a one-time non-Proposition 98 payment that will directly benefit schools without reducing Prop 98 operational funds. Total Prop 98 funding for 2019-20 is $80.7 billion which will provide a COLA for the LCFF and other categorical programs and a significant new investment for special education. There are, of course, a number of early education proposals as well. The entire budget proposal is available here. We will provide an analysis of the budget proposal later today. 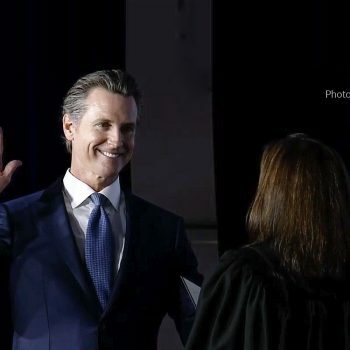 Governor Gavin Newsom submitted his 2019-20 “California for All” budget proposal to the Legislature today – a fiscal blueprint that builds a strong financial foundation by investing an unprecedented $13.6 billion in budget resiliency and paying down unfunded pension liabilities. The Budget proposes to continue to support local areas devastated by the 2018 wildfires by backfilling wildfire-related property tax losses and waiving the local share of cost for debris removal. Funding for impacted schools is also backfilled. The Budget includes $200 million General Fund to augment CAL FIRE’s firefighting capabilities, adding 13 additional year-round engines, replacing Vietnam War-era helicopters, deploying new large air tankers, and investing in technology and data analytics that will support CAL FIRE’s incident command in developing more effective initial fire suppression strategies. The Budget also continues $25 million General Fund ongoing for pre-positioning local government fire engines to support the state’s critical mutual aid system. The Budget also includes $60 million General Fund one-time to jump-start upgrades to the 911 system, including an overhaul to the existing fee that will sustainably fund a modern, reliable system. The Budget includes $16.3 million General Fund to finish the build-out of the California Earthquake Early Warning System. To help local governments and individuals be more prepared for emergencies, the Budget proposes $50 million General Fund one-time for local grants and to immediately begin a comprehensive, statewide education campaign on disaster preparedness and safety. The Budget also provides a sizable investment in forest management—$214 million—to increase fire prevention and complete additional fuel reduction projects, including increased prescribed fire crews. Homelessness pervades both urban and rural communities across the state and puts stress on local resources, from emergency rooms and mental health and social services programs to jails. 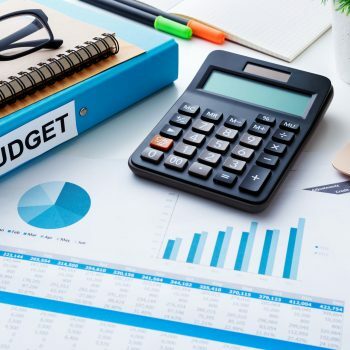 The Budget includes $500 million one-time General Fund to encourage local governments to build emergency shelters and navigation centers, and $25 million General Fund ongoing to assist homeless disabled individuals in applying for disability benefits. The Budget focuses on finding ways to improve brain health and improve care by investing in mental health workforce training, early psychosis research and treatment, and a Whole Person Care pilot program to coordinate health, behavioral health and social services, including supportive housing for people with severe mental illness. The Budget allocates $25 million General Fund (including $5 million to be made available in the current year) for an immigration rapid response program to assist qualified community-based organizations and non-profit entities in providing services to address this crisis. The Budget also includes $75 million General Fund ongoing for immigration-related services, including assisting applicants seeking Deferred Action for Childhood Arrivals; naturalization; and other immigration remedies.